Post subject: Your Dragon - its Habitat and Water !!!!!!! 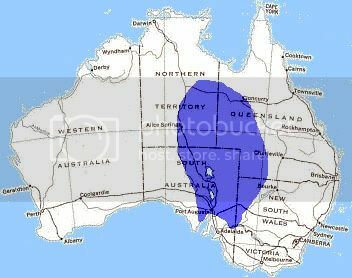 Put simply, the arid and semi-arid lands are those remote and sparsely populated areas of inland Australia, defined by the presence of desert vegetation and land forms as well as by low rainfall. They are bound by median annual rainfalls of about 250 mm in the south but up to 800 mm in the north and about 500 mm in the east. Together with sub-tropical regions and the mountain high plains, they form the rangelands, where rainfall is too low or unpredictable or where terrain is too inhospitable for sustainable cropping or timber harvesting. 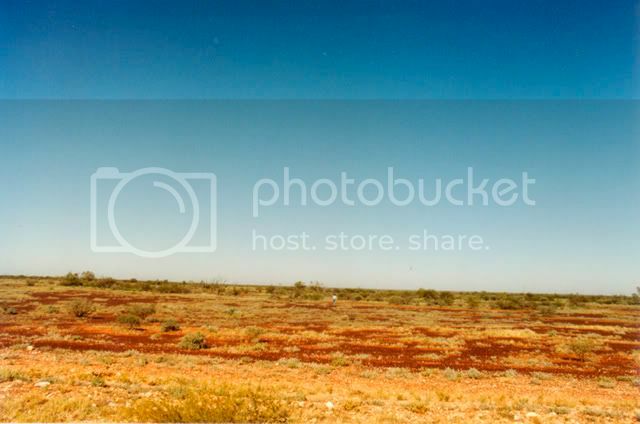 The rangelands amount to 70% of Australia's land surface, and by far the largest part is arid or semi arid. The vegetation of the arid lands has a strong influence on land use and productivity. The saltbush, mulga and grassy plains provide pasture for sheep and cattle as well as habitat for unique mammals and birds. 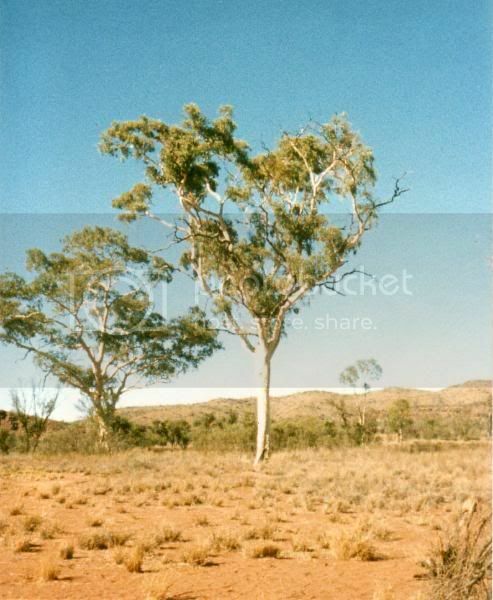 In the dry infertile interior, the spinifex-covered sand plains and stony deserts are too tough for livestock. Instead they are home to a multiplicity of termite species and the world's richest lizard fauna. It is an uncompromising environment at times but never monotonous. 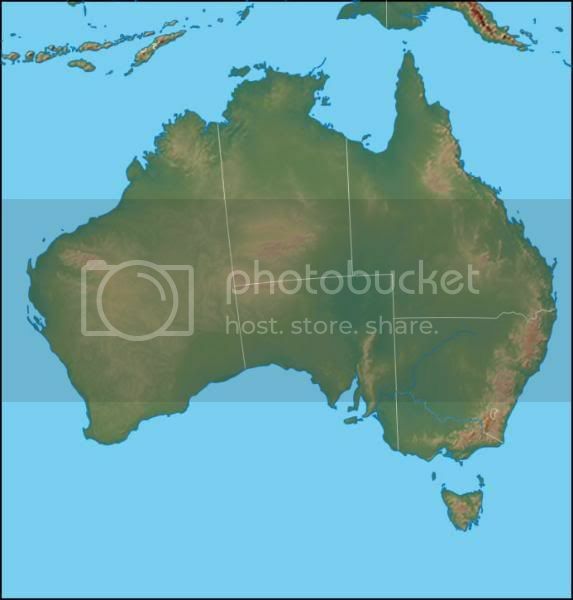 The climate of arid Australia is more variable than in arid lands anywhere else in the world, with highly erratic rainfall, extremes of long dry periods and flooding deluges. As well, soils are characteristically very infertile over vast areas compared to other deserts of comparable aridity. The range of flora and fauna occupying the various ecosystems also contrasts with that from other arid regions of the world. Major differences include the lack of many succulents, the small number of large mammals and the high numbers and diversity of lizards as well as social insects such as ants and termites. These factors combined determine the arid zone's uniqueness………. together with additional information regarding this area of our country. To better understand your dragon some knowledge of their territory including climatic conditions is needed. The first picture indicates the approximate territory inhabited by Pogona vitticeps, north/south some 1500 km, east/west about 1000 km. The next is a physical representation from which it can be seen that the area of habitation is generally low lying, and on the eastern side, cut off from the coast by a mountain range which severely limits all rainfall. 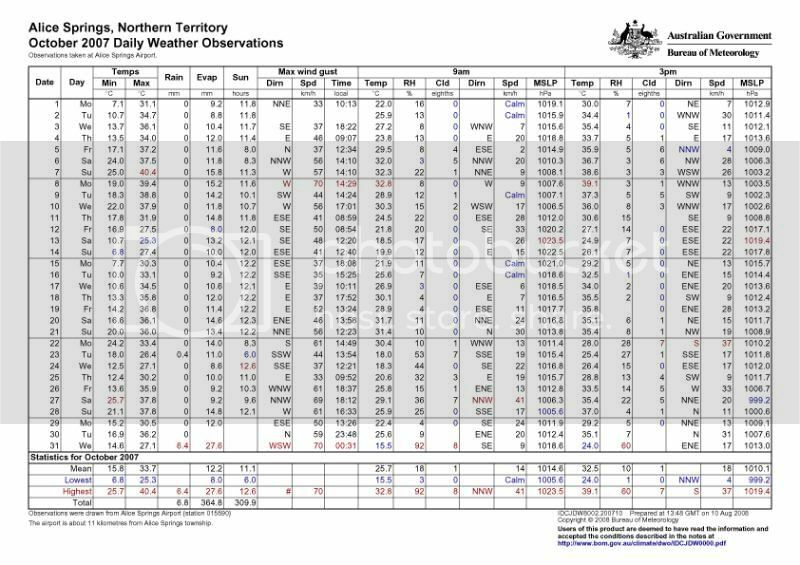 From this rainfall analysis it can then be seen that the majority of their territory receives less than 100 mm of rain in the 6 month period covering the height of their activity and the following temperature analysis again shows mean max temps in excess of 33C over the same period. The picture emerging already indicates that the land is dry and hot during the majority of the time that they are active. However these are only averages so a look at specifics can make things even clearer. I use Alice Springs as everyone knows where it is and it is situated well within the dragons preferred range. 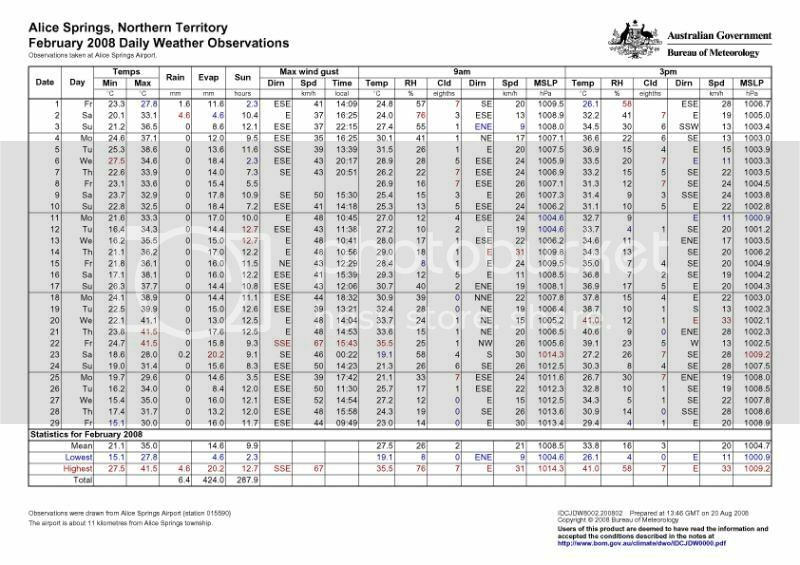 Notice here that the mean minimum temps are only 15.8C probably not much warmer (if at all) than your overnight house temps but more to the point the rainfall of 6.8 mm total with a rate of evaporation of 364.8 mm. Dragons are starting to get around at this point, mating and laying. February when everything is peaking, temps are little changed and rainfall total is still low at 6.4mm with total evaporation at 424mm. 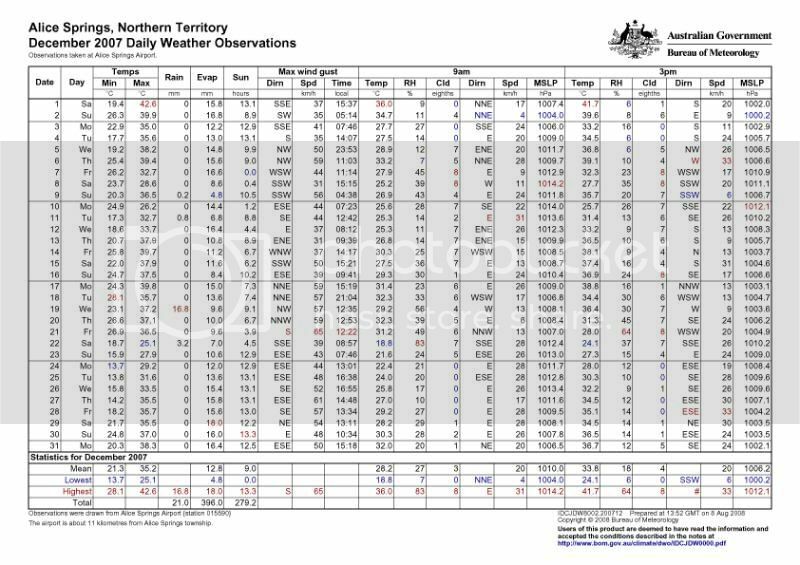 A bit of quick math’s shows that total rainfall in these three months is 34.2 mm BUT evaporation has been at the rate of a massive 1184.8 mm. Given that only 34.2 mm fell this means that another 1150.6 mm of standing water would have evaporated in those three months. Open water that is not flowing or well shaded at the bottom of gorges doesn’t stand much chance in these conditions, which is why dragons (among many other creatures) have developed the ability to survive very happily without the need to drink (or bathe) and extract their fluid needs from their food. Their kidneys act like a recirculatory system removing as much as possible and then excreting urates (a semi-solid) the cloaca then has another go and hauls out any more fluid it can leaving the final deposit as a semi-solid excretion. Now the pretty pictures, as I don’t have any personal ones from around Alice Springs I’m using an area stretching from around Uluru, south to Coober Pedy and east to White Cliffs instead (all three places are available to view using Google Earth). 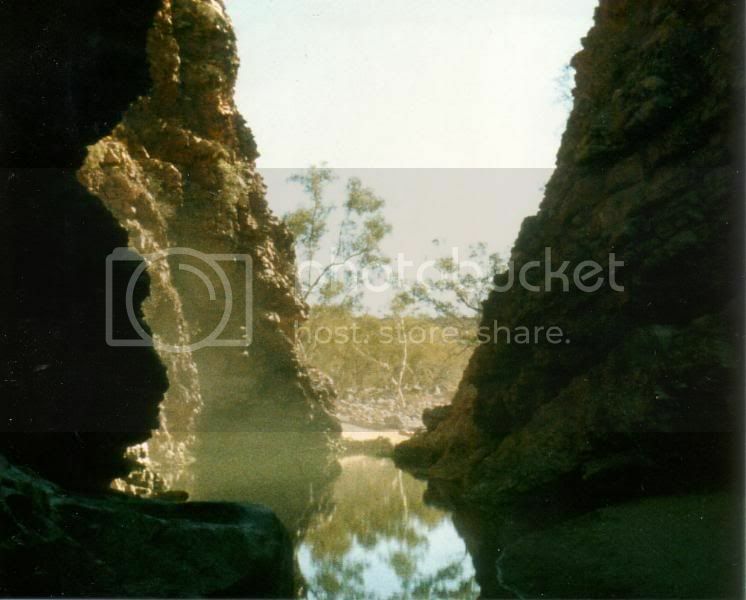 This proves that water does exist but you’ll note that it is concealed in a steep sided gorge of which there are not a lot as seen by the flatness of the land in the following shots. In the following photos you can get an idea of exactly how sparse the vegetation is and how flat the land, leaving very little in the way of shaded areas for water to remain. 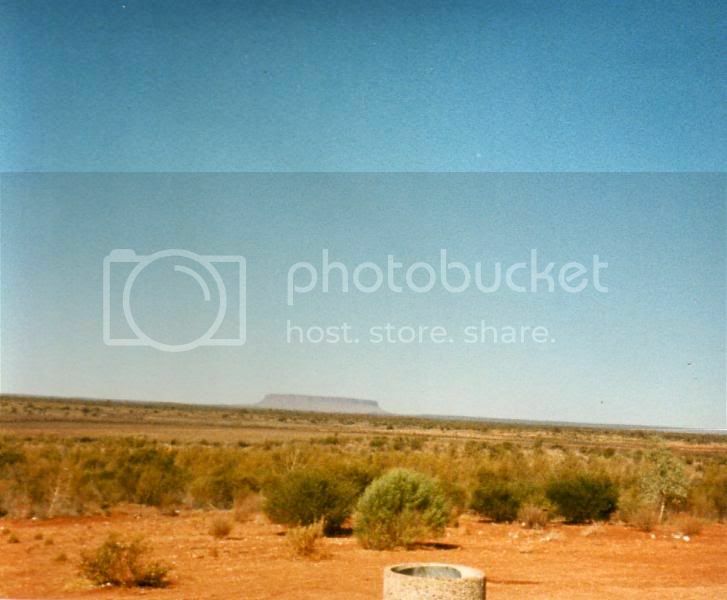 The first photo is of gum trees near Uluru and the second is of the land approaching Mt Connor which is around 88 km from Uluru. Notice also the ground itself, hard baked surface with a scattering of small rock and over everything a fine layer of red dust. 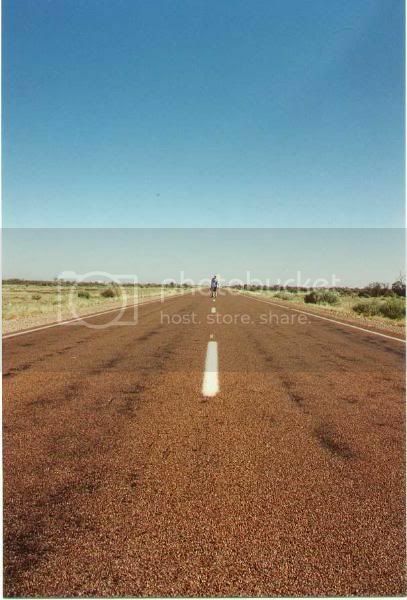 and no better on the way to White Cliffs NSW some 1400 km south east of Uluru. You can’t just stroll down the road a bit and find a small stream or similar they just aren’t there. For those who would like to check these facts (or do some further research) all the climate related information may be obtained from here http://www.bom.gov.au/climate/averages/index.shtml Google Earth and images will also help. In conclusion you can see that the land is harsh, day time temps are high but night time temps are low, whilst water is practically non-existent thus your dragon does not need or want swimming and drinking lessons as he lives happily without a constant water supply (in most areas – no water supply). So to copy this you will need a high temp basking spot of 35C+ (remembering that dragons thermoregulate by moving from sunlight to shade) and a cool side of around 25C during daylight plus bright white lighting to simulate the sun. For night, no light and temps dropping to 16~20C. For furnishing, a basking rock, a hiding area, climbing frame and mixed sand and stone as a base. Only one other item and that is a small bowl of water – although your dragon will almost certainly never drink, if the occasion arises that he feels dehydrated, water is available to him. Along with www.uvguide.co.uk this kind of thing should be mandatory for new beardie owners! Rick - thanks for your hard work on this! We should point all new beardie owners here when they ask about bathing etc. Great info from you again Rick, well done. Beardie Korben Dallas Born May 2008? Let us know what mark Rick gets then! It must be A+ ! I hope you did the right thing and gave me credit for it! And do remember that there is a bit of copyright material in there! lol i got like a 15 page slide nd i only done 3..ur gona have 2 w8 see what i get?? There is the odd exception though, hehe.